What happens when a love triangle unfolds onstage amidst lies, deception, and desperate women? 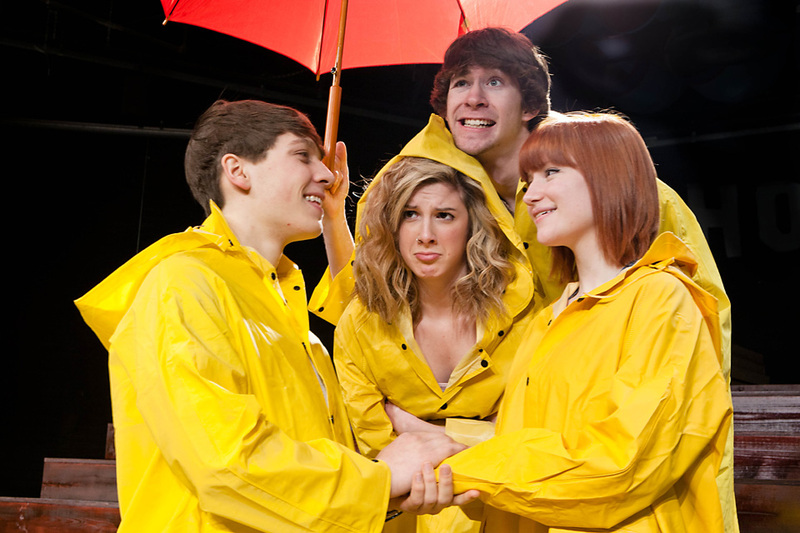 The umbrellas and rainslickers come out, of course, because the inevitable love connection ends with some singing in the rain! With a stage slathered in three coats of polyurethane, our Jenison Thespians have a surprise in store for ticket holders next week! (hint: there’s a reason for the rainslickers!) Stage hands and actors alike have been tap dancing and singing their way to this moment since last summer, taking lessons and receiving specialized instruction to help them live into their characters more fully. “Going into this musical I knew that everyone would have to put in more effort than before. 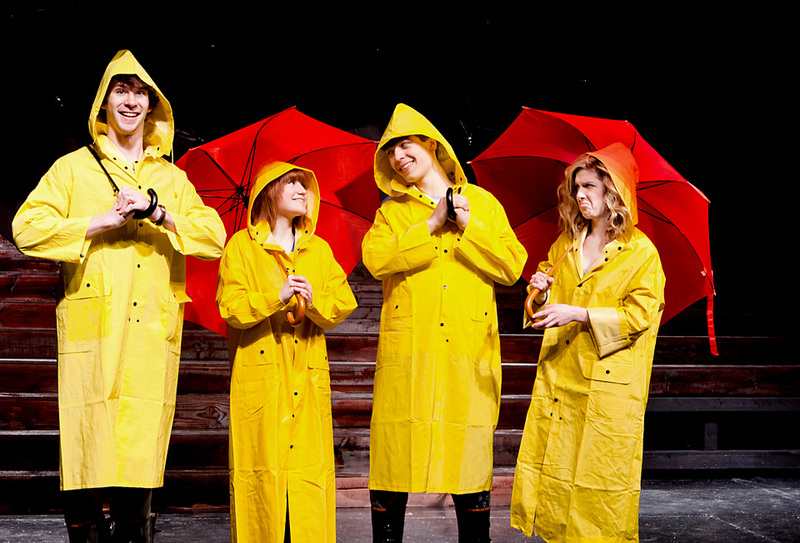 My devotion to theater was great before, but Singin’ In The Rain requires a new level of commitment,” explained Ben. “This is the most technically difficult and biggest dance show we’ve ever done. Three years ago I never would’ve even considered doing this show. There are so many different scenes — everything is one wheels — being flexible is so important, but these kids are ready,” said teacher Mr. Avery. Stage Manager KendraVeldt is Mr. Avery’s righthand-woman as he preps for the biggest show of his career. Her job is to oversee everybody — the crew and cast — making sure that fans, umbrellas, lights, boots, and sets are in just the right place…at just the right time. With leads comprised of juniors (Katherine Searcy, Jenna Bassett) and seniors (Ben Avery, Matt Wadsworth), this quartet has never been more ready to put on a show worthy to be called a Gene Kelly reprise. They also want to do their hall-of-fame teacher proud. “The whole show is packed with energy! My character is trying to be a stage actress…at one point I pop out of a cake and that’s pretty exciting!” said Katherine. “Getting the courage to sing in front of my peers has been most challenging and intimidating, but also incredibly rewarding,” Jenna shared. Join us next week for our last spring play in the Jenison High School Auditorium! 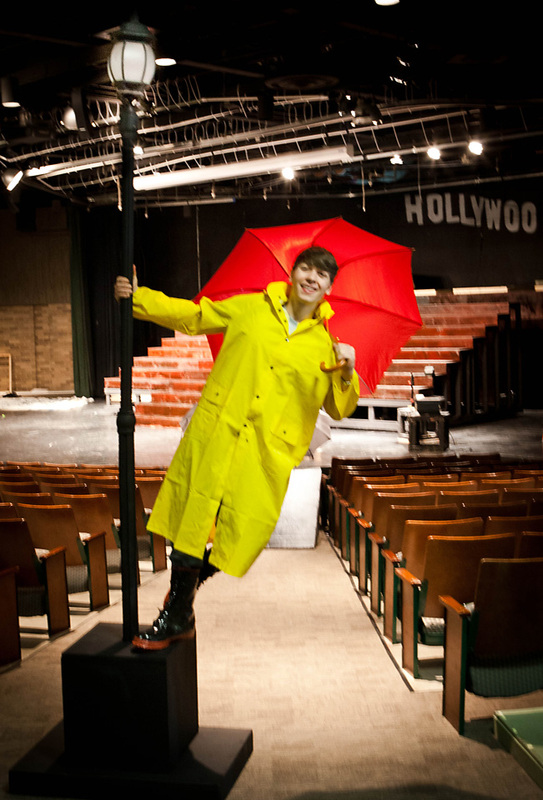 For more information about Singin’ in the Rain, please click HERE to view the Jenison High School Thespian’s website. My 2 nephew’s are in this play. I don’t live in Jenison, but hopefully I will be able 2 attend 1 of the shows. The play looks very interesting!